When people ask me how I manage to read so much, audiobooks are normally my go to answer. I mean, I'm a very fast reader anyway but people look at me blankly when I give them that answer because they can't make themselves read any faster, but they can get on the audiobook bandwagon. I used to be fairly obsessed with music. It was my life. I still enjoy it, and listen to it regularly, but when I am driving or working out, I don't tend to listen to it as much. I know a lot of people can't comprehend how I can run to a book rather than a super fast song, but eh, I do. What I'm listening to doesn't affect how fast I run. Well, actually - if I am enjoying what I'm listening to, I run faster. This could be the P&P soundtrack, or a book, or Taylor Swift - when I started running I tried to listen to dance music and all the recommended 'running playlists' and I wanted to rip my ears off because I was bored. You have to do what is right for you, there is no right thing to listen to for everyone. Every time I post about books, someone comments about how they wish they read more and I totally get that. The difference between me and you is most likely a social life, or other hobbies. I read, I blog, I cuddle my cats. You are most likely much busier than me, and struggle to find time to read, so... this is how you are going to do it. - Distraction. Concentrate on the book rather than the traffic, what's on your mind, or the miles you are running. When I first started listening to audiobooks it was because I needed to do something with my mind whilst driving the hour to and from work otherwise I would think about KC and our breakup and get pretty distraught. - You can't use books to track your run. When I run I normally think in kms. I know that roughly two songs (or a bit less) is 1 km. With miles, I know it's about 3 songs, unless a Meatloaf song comes on and then I'm thrown for a loop. With books, I can't do that and while it might be annoying to some, it is super helpful to me. - Multi-tasking! You're doing something else as well as working out, or driving or whatever. Booyah. You're not taking up any extra time in your busy schedule. - No skimming. I don't skim books on purpose. But sometimes, when I'm reading something like Emma and Miss Bates is going on and on and on and on and on, I'll skim. Or when someone uses a whole page to describe the rolling hills and pretty blue skies - skimmedity skim skim skim. Can't do that with an audiobook, which is a good thing for me. - It's like watching a movie.. but not. Some readers are absolutely beyond amazing at bringing the characters to life. You know how you watch a movie and then read the book, or you know what actor plays what character and you can't help but view the character that way as your reading? It's like that, only better. - No repeats. Maybe you have a zillion songs on your running playlist, but I don't. After a couple of runs, it's the same songs over and over and I get so bored and end up skipping. A book generally lasts me a couple of weeks, and there are no repeats unless I want there to be. - Tackle that TBR list. If, like me, you have 600 books on your TBR list, audiobooks help tackle that list. At any given time, I am listening to a book, reading a real book, and reading one on my kindle. I don't expect you to do that of course, but you can at least do the audiobook. Reading when you don't have time to read! - Longer books don't seem as long. Picking up Anna Karenina is daunting. Listening to it, not so much. It might take you a year to get through it, but that's not as scary as having 600 pages left. Or is that just me? - Books are awesome. Do you need another reason? At first, stick to something that is your version of easy and light. I don't listen to sad books because I don't want to cry while running. I tend to listen to things like Harry Potter (Stephen Fry, not Jim Dale), The Sookie Stackhouse series, Jane Austen etc. An audiobook I really like is How to Win Friends and Influence People. Don't knock it till you've tried it. Start with a favourite, or one you've read before. This might seem silly, but my favourite books to listen to are ones where I already know the story. HP, Jane Austen, Sookie Stackhouse (True Blood) etc. After I had gotten comfortable with audiobooks, I branched out. You might not need to, but it's a thought. Listen to the book on double speed. Find out how here. You have to make sure it is set as an audiobook and not a music file, which is easy to do. It might be too fast for you, but it's worth a shot. Listen to the voice before buying. I have hated books because of the person reading them. I don't know why, but I tend to enjoy female voices more than male. When I was trying to get the Harry Potter books way back when, something about the voice bugged me and didn't fit with the characters in my head. 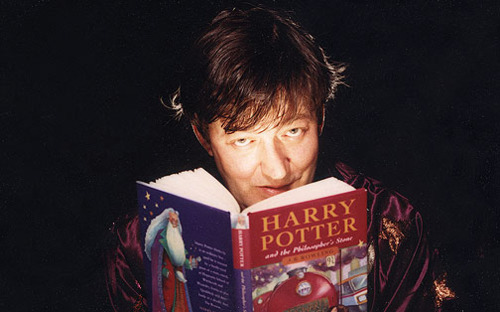 So I got the Stephen Fry ones. Then, a couple years later I was listening to The Night Circus and I didn't enjoy it, and then later found out it was read by the same guy who did HP, and I think that influenced my opinion. But where do you get audio books from? Audible.com I like Audible, they have tons of books and how many you get per month depends on your subscription. They are normally running specials where your first book is free, so that's pretty cool. Audiobooks.com is a flat $24.95 per month. While you're able to listen to as many as you like, these books are not available for download. Any audiobooks that you're reading show up on their website in your "in progress" list. If you're the type of person who only listens to a book once (like me, unless it's P&P), then this is the best option for you. Update: Audiobooks.com is now $15 per book like Audible. iTunes great if you don't want a subscription. Librivox.org great for classics. Librivox only has audiobooks that are in the public domain, published before 1923 and with expired copyrights. Each work is read and recorded by a team of volunteers, and some novels are recorded with a full cast, much like a radio play. Your library! My favourite for sure. Many libraries are now getting up to speed with the digital movement, so you don't even have to leave your house to get the your next audiobook. It's free, and if you're borrowing a digital book, you won't have to worry about returning it; when it's due, it won't be available to listen to. 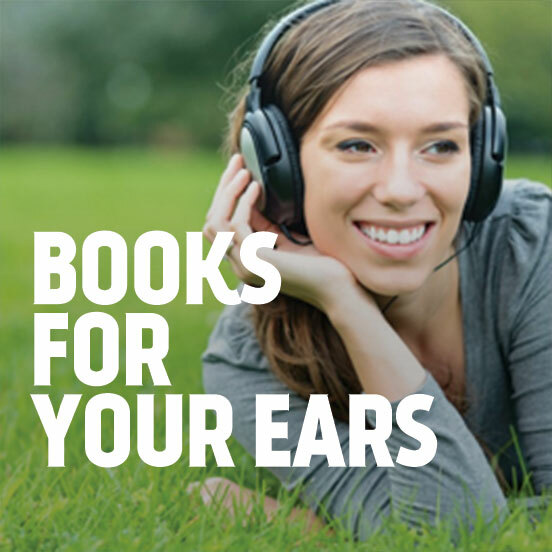 Here are some recommendations for audiobooks if you don't know where to start! And as with any shopping - compare prices before you buy! And 'preview' the voice to make sure it won't get on your nerves. So, you gonna listen to an audiobook now? I have a ton on my computer so feel free to ask me because I might have the one you're looking for! I listen to a lot of audio books as well as I walk to work each day. Someone asked me the other day if I count the books I listen to as part of the total I've read. Of course! I took the time to listen and pay attention to the story just as I would if I read a hard copy of it. I have learned that books of short stories are NOT great for audio books. My mind does wander from time to time. With a full length novel, it's no big deal. You can easily get back on track with what's happening if you zone out for a minute. I think that short stories are much more difficult to follow if you happen to miss a minute's worth. And, I get all my library books from my local library in the States since I think most audio book prices are high! Happy listening! Someone at my work suggested I listen to books while I run too and you both bring up really valid points! I had never really thought about how when I'm listening to music I'm actually calculating how far I run in my head based on the songs. I definitely need to try this! Thanks for the suggestions! OK... are you in my mind? I seriously was just trying to find out more about audio books yesterday!!! I want to go to my library today after work & see what they offer. For me, I need discs for my car & for work, so I'm going to check out the library for that. I'm not all that tech savy to figure out how to download them on my ipod & play them in my car ... plus, I'm always the person who doesn't want to play my ipod every day so I can save my battery for years :) #stupid How old so I sound saying that? ... but I totally want to get on the audiobook bandwagon!!! You just pushed me to do it even faster! What?!?! Mind blown. I never even thought about listening to books while running, but it's freakin brilliant!! We always used them for long car rides, but this makes so much sense! Like you, my workout playlist consists of about 20 songs, and I skip half of them! Thanks for this awesome idea! It's so funny that you are mentioning audiobooks, because I was just thinking about them this morning. I was wondering if I would be able to concentrate on an audiobook while cooking or cleaning... and decided to try. What gave me the idea was a coupon code for a free audio book on Audible, but your list is so much better! Thank you for sharing all these resources! I started with Charlaine Harris audiobooks last year and they were so entertaining to listen to because, like you, I'm a skimmer. The $14 I pay to audible each month is worth it and they usually have specials where you can get 3 books for $30ish. I did just sign up for kindle unlimited so I can read on my iPad. Finding/buying books is the hard part for me. Once I have it, I'm good to read it. Ok so this might be perfect for me. I don't run anymore. I just don't like it and I am done trying to force it. But I walk. I find myself having to fight the urge to look at my phone all the time while out on a walk and maybe an audio book would be the perfect distraction! Thanks! I've jsut gotten into audiobooks in the last 6 months and I listen every day! I also like it while I'm running/excercizing. I find that I know the songs too much, so I'm paying more attention to the fact that I'm running, and paying attention to a book distracts me more. LOL at listen to them at twice speed. It reminds me of my brother who will watch shows at 1.5 speed to get through episodes faster. The only time I've ever listened to audio books was to get myself through Shakespeare haha I'm not sure why I haven't branched out because I actually really enjoyed hearing the characters come to life and I felt it gave me more insight into the characters, relationships and overall story. I feel kind of silly for not thinking of it before, but I have a huge stack of books I have to read for school right now and audio books would speed up the process and be enjoyable too. Going to see if I can find them! This is a great idea. My daughter is dyslexic and reading is torture for her, but she can hear something once and remember everything said. A few weeks ago when I painted I tried to listen to songs but kept stopping to hit skip songs. I started listening to the Serial Podcast and got so much more done. I love me some audiobooks. When i had to travel a lot and got tired of music I'd get books from the library to listen to on my drive. Made it easier and more fun, too. Even in traffic. The only down side as they are on CD so I couldn't just take it with me, like on the phone. Now I use the free audio books app and love it when I fly. It's great to put on when it's loud or I'm too tired to read. I'm listening to the Secret Garden, now. Great post, lady! I really wish I could, but I just can't climb onboard the audiobook train. I am easily distracted so I just can't seem to pay attention to them. I am a super visual person so I prefer to read the words. I really should try audiobooks. I don't know why I haven't yet. I've been having so many migraines lately that I haven't been able to open my eyes long enough to get through even a page of a book, but I bet I could listen to it! That way I wouldn't be stuck laying there bored and in pain. lol! I have been meaning to try an audiobook for my commute to see if I like it better than music. I saw a swabucks thing for audible.com. How many are you allowed to get each month? Two birds, one stone. Since you like audio books, have you gotten into podcasts? Serial is amazing and will make anytime fly by!!! Good tip for starting with one you know before. I don't have a long commute, don't run, and prefer the physical holding of a book (that's part of the pleasure for me) but I am going to try an audiobook at some point. I put it on my 40 before 40 list! Girl, I love, love, love audio books! I always go to the library but my selections are becoming thin... Problems of being an avid reader. I've never heard of audible.com, so I'll definitely be checking it out. Thanks for the suggestion! You know what, for someone like myself, this is especially genius. Why had I never thought to try this out!? GREAT tips for starting too, thanks! THIS! That's how I do it. I always have an audiobook that I'm listening to, plus a paperback, and even maybe something on Kindle. That way, I can maximize my time! Disliking the voice has made audiobooks a problem for me lol. Especially if the book is long...it's like UGH enough already! But I think your idea about starting out with stories you already know is a good one that I'm going to try. Don't hate me... I've never actually listened to an audiobook. I've tried! I just. Can't. It doesn't hold my attention. I think my issue is that I tried to listen to a fiction book that I was excited to have in my hands and read, so I was gonna be disappointed by anything less than that. I think I'm gonna try again with a funny book, probably a comedian's audiobio of something. I REALLY want to start listening to audiobooks while I workout. I have tried a few and the voice totally makes a different. I tend to forget about Audiobooks but this might be good for me when it comes to the classics. I tend to get bored with them, the horror. I know. My library offers them but I was afraid they would be too distracting while driving... but then again, I listen to NPR and the Serial podcast, so how is this different? I may go get one now for the drive home. Thanks for the push! You make some amazing points. I can't believe I've never listened to audio books. I think I just love the smell of books and holding the book to try audio books. But I will definitely give it a try one of these days. Wonderful post. I think audio books are wonderful. I think they are the only way I could actually get through a book nowadays. I think it was Pottermore that was giving away the first chapter of the first harry potter book away and I listened to it and I LOVED IT. it was wonderful, the guy reading the book is perfect for the books! i was so sad when the first chapter ended. I really want to buy the whole audio book set for HP, they are kinda pricey but so worth it I bet! OMG I love the idea of listening to books while working out!! That's genius and I don't know why I never thought about it. I'm alway SO bored at the gym, but this would definitely help. Thanks lady! Happy Weekend! This has never even crossed my mind before but now you've got me intrigued! If only I had been doing this on my 90 minute commutes in Chicago - I could have read a billion books! I love audio books!! Any time I take car trips by myself that is how I pass the time - 12 hour drives go so much quicker when I'm engrossed in a book. And, when I iron tablecloths at our venue (3-5 hours at a time), audio books make the boring job so much better!!! I am moving soon and I will be further from work so this is a really good idea. The mornings are usually full of talk radio and most of them are about people cheating and breaking up which is depressing to me. I think I would much rather listen to a book than that crap. I've only done one audiobook but it was great! I really need to head to the library to see what I can find. It makes the drive to work in traffic so much better. Now I understand how you read so many books! Well. You are very persuasive!! Good thing you are not a shopping blogger or I'd be broke. You seriously have me considering getting audio books since I do spend quite a bit of time in the car. I guess my only issue would be I don't know if my passengers would enjoy my reading material (or if my reading material would be kid friendly!) But....I will take this under serious advisement! My favorite thing to listen to, especially on long training runs or rides, are audiobooks or podcasts. When I really get into a book, I don't want to stop running! I love "reading" runners or triathetes memoir or autobiographies, so motivational. And "The Help" got me through most of my training runs for my first half marathon! I've been on a podcast kick lately, but there are tons of books I want to read, and I have no time for it. But you just reminded me to download some for my workouts! I know Jenni, me too! They make me think 'ehhh just one more mile!' lol. I need to get into the runners memoirs and such, they would be so inspiring! I really really love this post!!! I had tried to get into audio books in the past but never could. However, now that I have my puppy I needed something to do while walking him, so I decided on audio books. I have started with Uncle Tom's Cabin. Where do you get your books from? I've never tried listening to audio books even though I love reading. You've convinced me to try it out! I guess it just seemed like a weird concept to listen to a book instead of reading it, but now I'm curious to give it a shot. I'll have to pick a book like Harry Potter for my first one! I read a lot, but I only listed to audiobooks every once in awhile. I find that I can read a book so much faster than listening to it. I end up getting impatient. I am guilty of skimming though. It's a habit I've been drying to break. I actually listen to podcasts when Im running but audiobooks should have been a go to. I read it all and have never once listened to an audio book. I do think Im going to try to run and listen to one this week though! I read, I blog, I snuggle my cats...perfect, girl! Cory can't listen to music while running. I've seen him fall of a treadmill (like smack the ground hard) because he tried running to the beat and it messed him up. And that wasn't the first time it had happened! So he always listens to audiobooks while running or cycling! So I've thought about the audiobook thing, but the thing is that what I love most about reading is the actual act of reading. It occupies my hands, mind and eyes, so I can't get distracted. It just feels right to get in bed and read a book, or pour a cup of tea and sit down with a novel. I feel like I would be so distracted by other things if I were listening to an audiobook and I wouldn't retain any of it. But I think I do want to give them a try for running, but probably just the lighter books on my list like celebrity memoirs and stuff. Thanks for listing the resources though, I'm going to take a look! I have to admit, this answered a lot of questions for me because I always wondered how you read so much! Funny that you posted this because I kept meaning to ask you how you do it! Since I don't read all that often and like it for falling asleep purposes (it makes my eyes sleepy if nothing else), I don't think I'd do a lot of audiobooks, but I have thought about it for running, driving, etc. I'm just worried I'd zone out and not be able to follow along haha. Definitely bookmarking this for all of these great resources! I've recently gotten into audiobooks and I'm hoping to be able to do it while walking/running I just haven't had a book when I did it recently. God, I love audiobooks. I was shocked to find out that I have nearly a hundred in my library already after only a couple of years. They are a great way to stay on top of your reading. 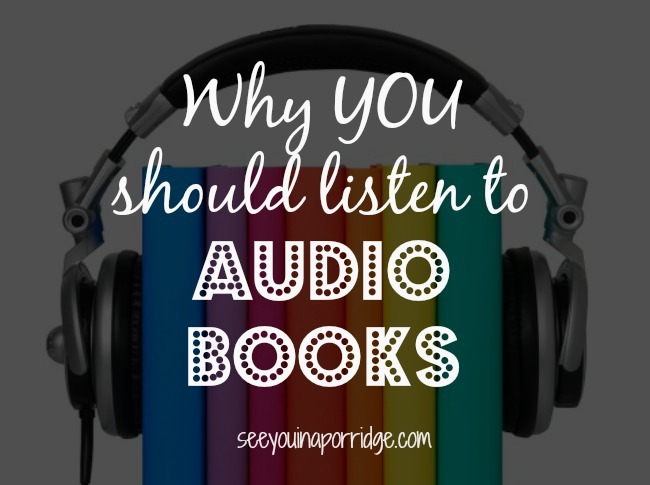 Great post, it should spread the joys of audiobooks elsewhere! Keep up the good work! !